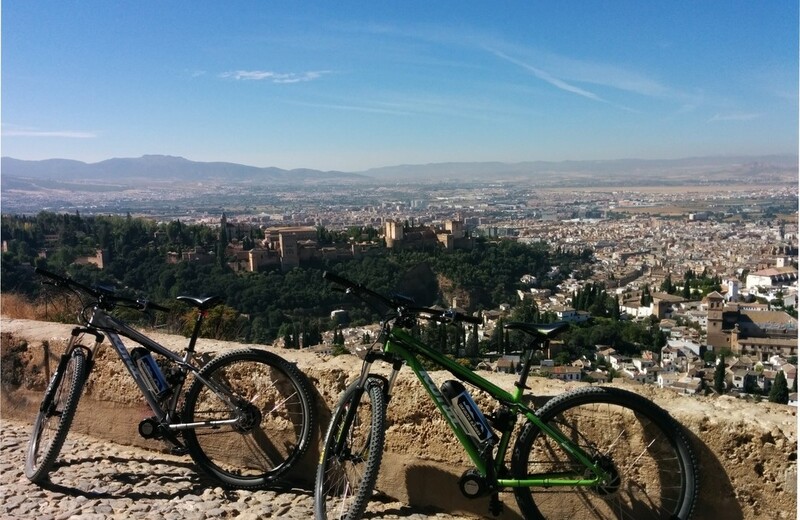 Have you already seen the Alhambra, the Albaycin and its well-known San Nicolas viewpoint? What about the Sacromonte and its famous hand-crafted caves? Needless to say, these places are a must in Granada. Nonetheless, Granada has much more to offer. Depending on your taste and, of course, on the weather conditions, you may prefer to discover the great outdoors that surround Granada or to spend most of your time indoors visiting Granada’s unique Arabic, Jewish and Catholic cultural heritage. La Madraza, for instance, is the original Arabic university that was founded by the Moorish Sultan Yusuf I in 1349. It is located next to the Capilla Real (Royal Chapel), the mausoleum that houses the remains of the Catholic Kings since 1521, adjacent to the Cathedral. Noteworthy, Isabel and Fernando were initially buried in the Monastery of San Francisco that they built inside the Alhambra walls. This monastery is nowadays a Parador Hotel, where you can visit their tombstone, the remains of the 14th century Nasrid Palace and enjoy an astonishing view of the Generalife and its gardens. La Alcaiceria was the Arabic souq or marketplace and it is still in use nowadays. Its strikingly narrow streets will make you “travel” through Morocco, giving you the opportunity to experience an essential piece of Moroccan culture, i.e., haggling to buy Moroccan silk, handmade rugs, tea sets and lamps among other local and Arabic souvenirs. El Corral del Carbón (the Coal House), a 14th century Nasrid “Alhondiga” (grain store), offered shelter to the merchants, who just had to walk a short distance over a bridge to get to the Alcaiceria and the Mosque (nowadays the Cathedral). It is of special interest since it is the only Nasrid Alhondiga preserved in its entirety in the whole Iberian Peninsula. It was used by the Christians to accommodate coal merchants, thus its name. It has also been used as a theatre. In fact, its patio still holds outdoor performances (mainly in the summer). For further information, I suggest you visit the tourist information office located inside it. The statue of the Queen Isabel with Columbus also conveys a lot of history. After reconquering Granada from the Muslims in 1492, the Catholic Queen Isabel approved Colombus’ request for patronage to sail to America. At this point, if you feel like taking a break, I suggest you may sip a Moroccan tea at Calderería Nueva, where you will find the Teterias (Arabic tea shops). 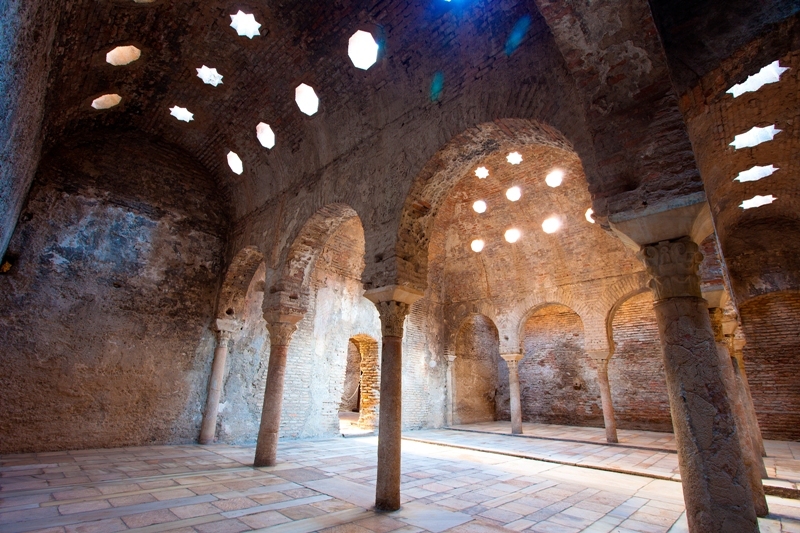 El Bañuelo, an 11th century hammam (public Arab baths), will give you an idea of how important the bath and massage ritual was for the Muslims living in Granada. If you would like to experience it by yourself, you may take a look at the Hammam Al Andalus, the first Arab baths in Europe to be reopened following their closure in the sixteenth century. El Realejo was the Jewish quarter of Granada. The Arabs called it Garnata al-Yahud (Granada of the Jews). Both cultures lived in peace before the Catholic Kings reconquered Granada and built upon an old Muslim cemetery its main square, el Campo del Principe. To conclude, this is only an introduction of the infinite things to do and see in Granada after visiting the majestic and impressive Alhambra.